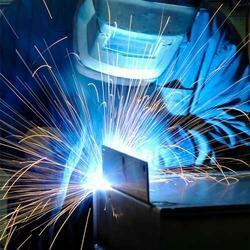 We are a leading Service Provider of sheet metal fabrication from New Delhi, India. We are reputed entity offering highly efficient services Sheet Metal Fabrication. Our team members are leaders of metal fabrication and well positioned our company by offering professional services for fabricating auto body panels, auto trim parts, bumpers, doors and certain profiles of sheet metals. Further, we are leveraging the advanced welding techniques including MIG, Spot, and Argon machines along with next generation angle and bar cutting machines to render the best outcome at a competitive price.